This post concludes our discussion on issues an Arkansas defendant should consider before accepting a plea deal. We have covered a variety of topics over our last several posts and our goal with this series has been to help the accused better understand their choices before making a life-altering decision. 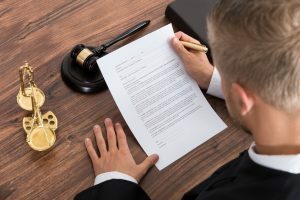 There are instances where accepting a plea offer may be in one’s best interest and there are other instances where they may wish to fight the charges. Whether or not to accept an offer is situation specific and such a decision should not be reached without speaking to a defense lawyer. The main point that we have attempted to stress throughout these posts is that one should consult with a criminal defense lawyer in order to decide what is in their best interests. An attorney, who is familiar with criminal law, can assist you in determining whether there are search and seizure issues which can be explored or whether there are other issues which provide a possible defense. Exploring defense options may result in your proceeding to fight the charges rather than accepting a quick resolution. Accepting a criminal conviction is a life-altering decision and it is one that should not be taken lightly. Our Little Rock defense lawyers have devoted their careers to defending the rights of the accused. Once retained we will immediately analyze the facts of your case and determine what options are available. We will meet with you and discuss, at length, your options and whether a plea deal may be in your best interests. If you are considering pleading guilty then we will ensure that you understand all of the ramifications, that you understand what to expect after the plea is entered, and that you only do so after having considered other options. We understand that this is a serious time in your life and we take such situations seriously. Contact our office today.